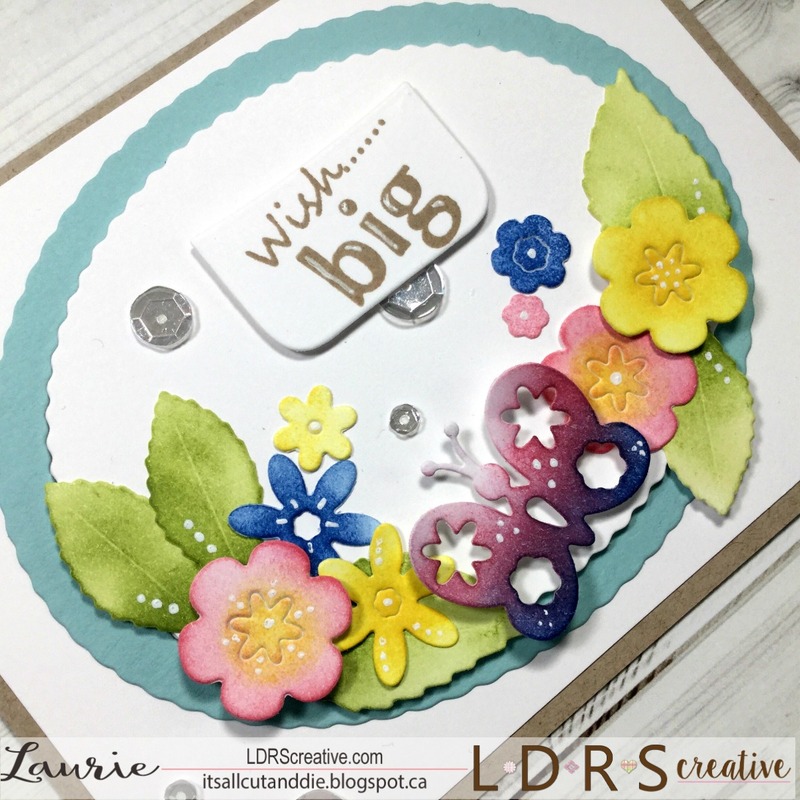 It's All Cut and Die: LDRS Creative May Release Day Two!! Hello!!! Welcome back for another look at some of the new goodies from LDRS!!! We continue on with the cuteness today by looking at the new die set, Build-A-Card Pinafore!! This set is incredible!! Not only does it create a card base shaped like the cutest little dress, it comes with a ton of dies to help you decorate it!! These dies can also be used on their own. I'll share two cards today that show you both ways! My first example, is how to use this set as intended. This creates a large card and so easily! Isn't this just the sweetest??! The layers include a scalloped top layer and a cute apron!! The papers from the new Country Friends Paper pack are perfect for this!! I added some flower dies at the top of the dress (which are included in this set) and the bow is from the Happy Days Die Set. Which I think is the perfect accent. Everything being released works so well together. 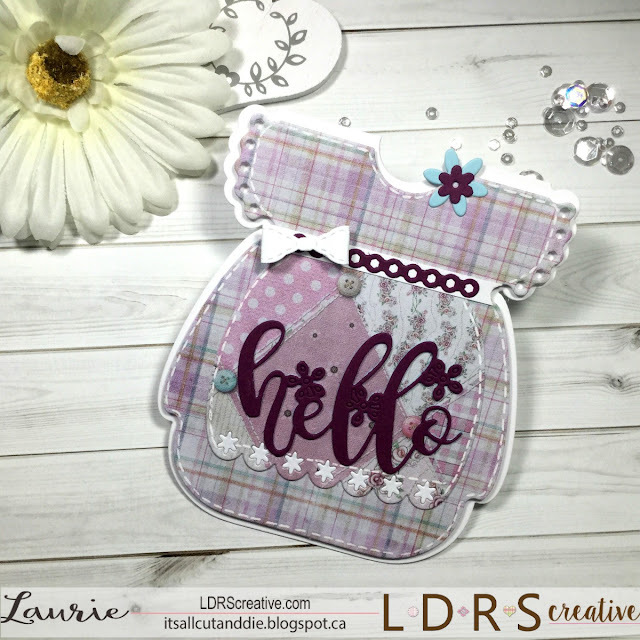 That gorgeous Hello Word Die is a previously released die which is a must have! I also added some stitching detail with a white gel pen. After adhering everything together, I noticed that my apron was a bit crooked. That's okay. If things like this happen to you, don't stress. It's handmade and it's an original!!! My second card uses just the flower dies from this set. I die cut them out of white cardstock and using Olive Branch, Dark Wash Jeans, Dand-D-Lion and Lipstick Jungle Hybrid Inks blended on some colour. 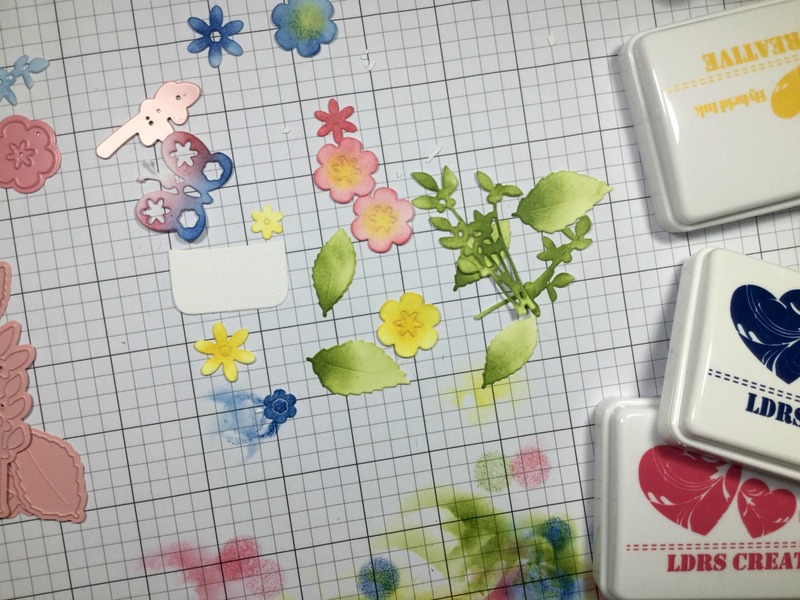 I should mention that the leaves are not in this set but LDRS carries the Fancy Flowers Dies and the Super Sprigs Die Set to help with the greenery!! I die cut two ovals from the new Woodland Foliage Frames Set and created a floral spray along the bottom. The sentiment is from the Safari set stamped on a die from the Build-A-Card Pinafore set. See how everything works together??!! This card came together quickly and I adore that butterfly! A few white gel pen details finish this card! Thank you for stopping in today and I'll see you tomorrow for our final day of the hop!! The Country Friends Paper Pack IS perfect for this little dress. Your cards are beautiful! So adorable, I love that Hello die. Both of your cards are lovely. I love how you selected flowers & greenery dies from different sets & your coloring of the little items is great. Simple yet rich with color, dimension & shapes. This is incredible! So many little details! AMAZING JOB! Your color choice is fantastic, really really nice. Butterfly and flowers really beautiful! What a great job showcasing the new products, thanks for sharing! Adorable cards! I love the beautiful colors you used on the card with the flowers. So pretty! Wonderful cards! The first is just adorable, love the patchwork apron. The second is lovely, gorgeous colors and composition. Love both cards. So pretty. Cute projects! These dies are really rockin'. Love all your elements and layers! Wow. Your cards are awesome. The dress is adorable - the designer papers and embellishments are just perfect. Love your fabulous die cut flower card. Wonderful colors and design. Very pretty! The flowers are beautifully colored. The shaped card is super cute but your card is wonderful as well ! LDRS Creative May Release Day Three!! Inspire Me Wednesday with My Creative Time! 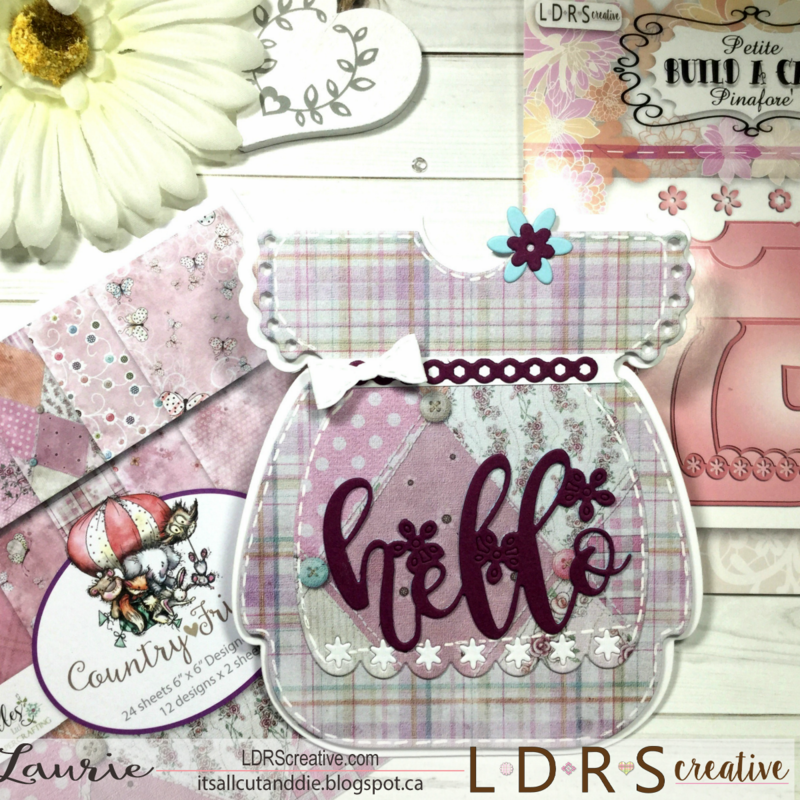 Maple Syrup Designs and Stamping Bella! 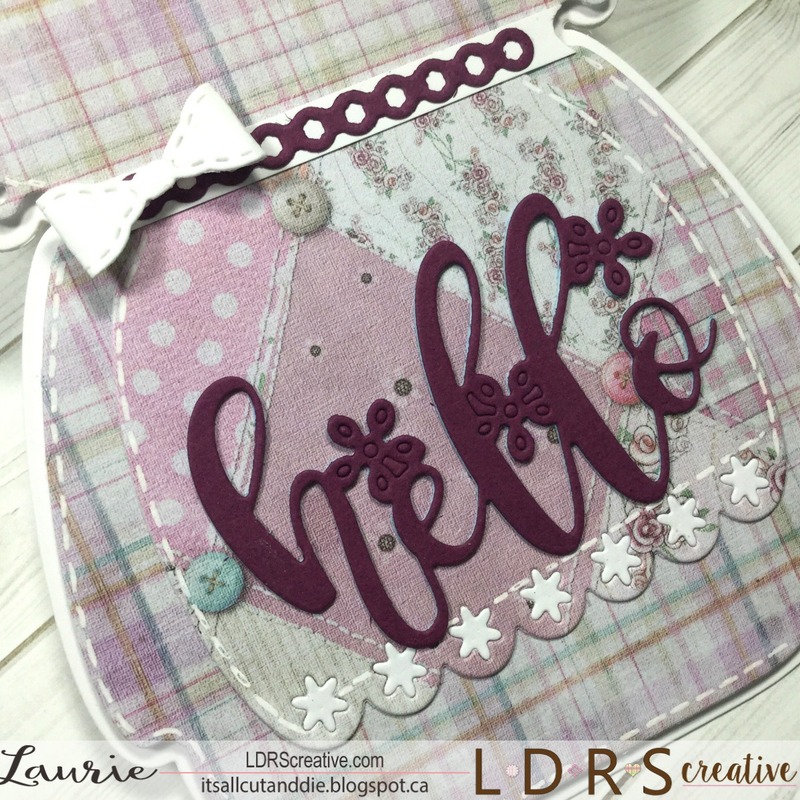 Tag It Tuesday with My Creative Time! Maple Syrup Monday with Stamping Bella! !